Games found: 5. World War I (also known as The Great War) was the first of the two world conficts of the modern era. 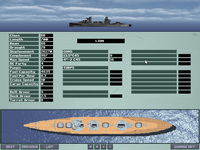 Quite a few video games are set during those years: combat flight simulations, naval simulations and even shoot'em ups.